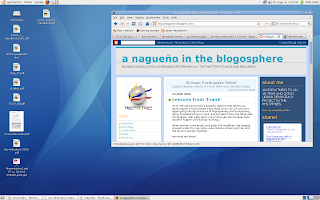 SOMETIME in June, I wrote about my "Dawn of Ubuntu" desktop sitting on an ancient Mac-customized three-year old laptop. There are a lot of people who've been able to ditch their Windows machines and switch over to Linux because they can now use their Exchange server for calendaring and collaboration from their Linux desktop. I found an information here that i want to look for.